When I am under the weather, I usually crave for the comfort food that I had during my childhood. Lately I was missing my late mother’s Tau Eu Bak. So I cooked a simple version and got it close enough to the taste that I remember. To complete it, I made some Sambal Belacan to go with it. This is how we eat Tau Eu Bak in Penang. I am not a meat person but I was really happy with just ate the gravy and tofu while everyone else enjoyed the meat. You may also add hard boiled eggs. 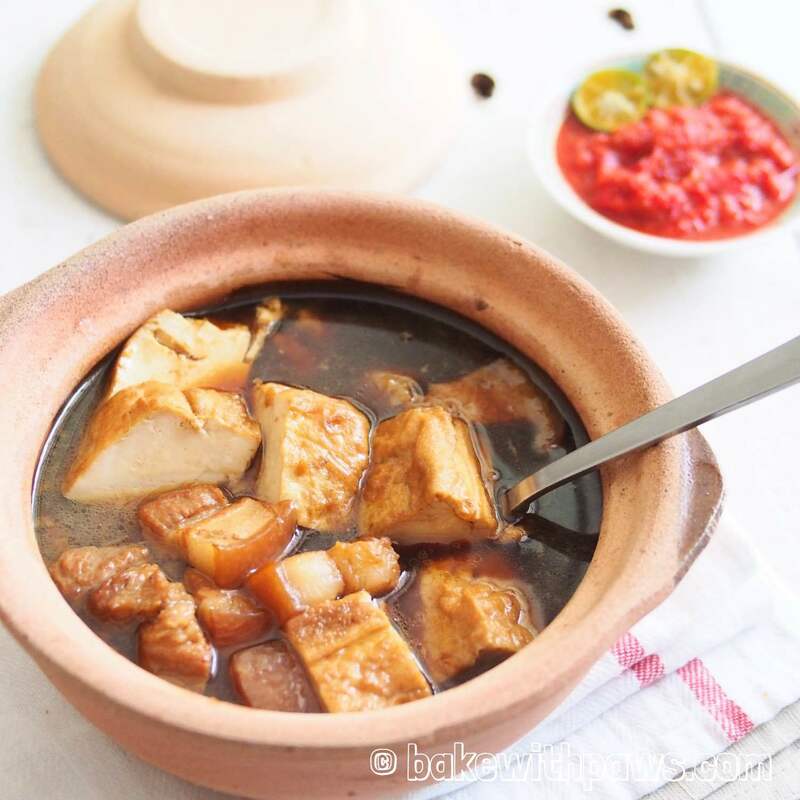 I have shared a Tau Eu Bak recipe few years back. Obviously this is not my late mother style. The previous recipe I shared is a little more complex with some dried herbs added. You may get the recipe here. 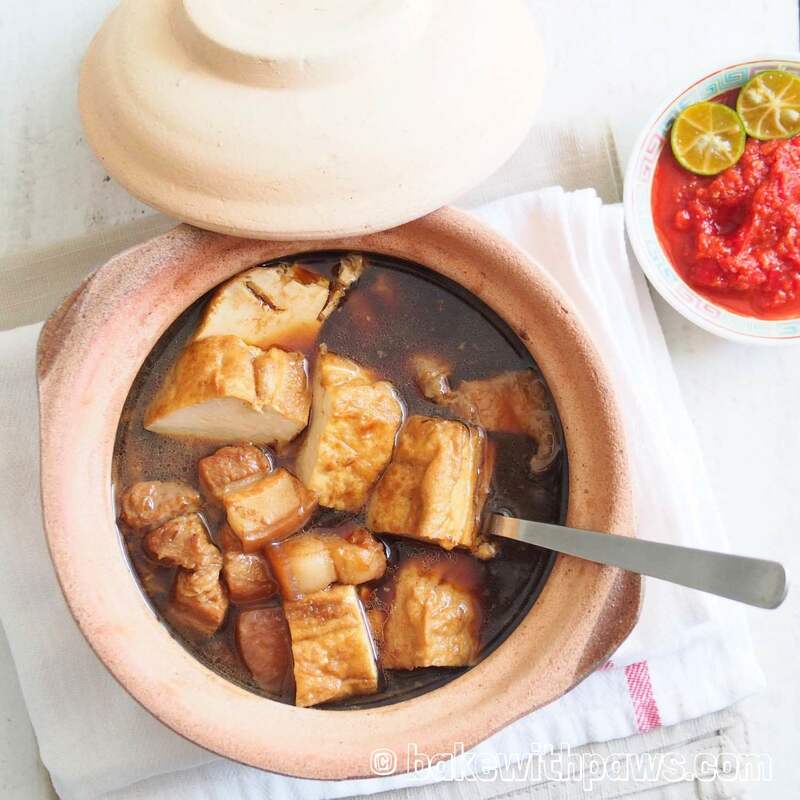 Clean the pork belly and blanch in boiling water to remove the odour. Set aside. Heat up the oil in a pot. 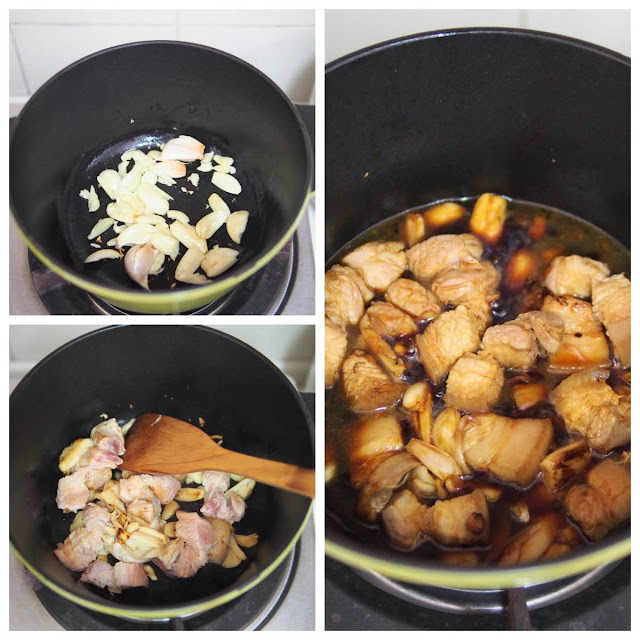 Saute the garlic till fragrant. Add in the pork belly. Stir a bit. Then add in all the seasoning ingredients and water. Bring to a boil. Add in fried tau kwa and simmer for about 15 minutes. Remove the tau kwa and continue simmer till the meat is tender. Cut the tau kwa at your desired size and serve together with the braised pork belly.